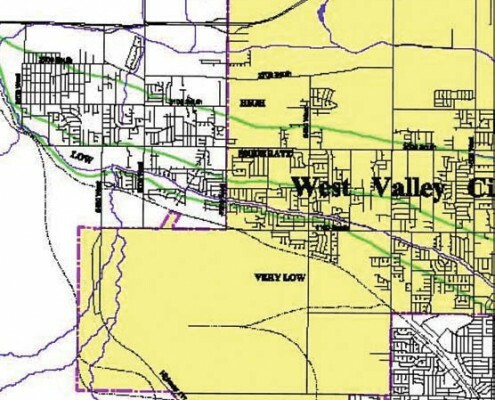 Existing Salt Lake County Planning and Development Services map of surfacefault- rupture (in red) and liquefaction potential (green boundaries) special-study areas, clipped to approximate Magna quadrangle boundary. 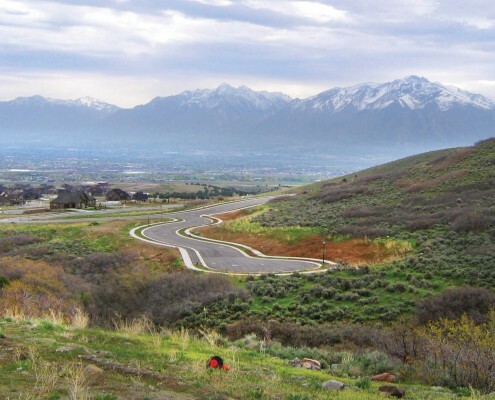 Development in urban areas along the Wasatch Front is proceeding at a rapid pace; in many areas geologic hazards have not been mapped to meet the needs of new and evolving geologic- hazard ordinances. As land well suited for development becomes scarce in many areas, development occurs in areas with more exposure to geologic hazards. To address this issue, the Utah Geological Survey created the Geologic Hazards Mapping Initiative in 2008, with funding from the Utah Legislature. 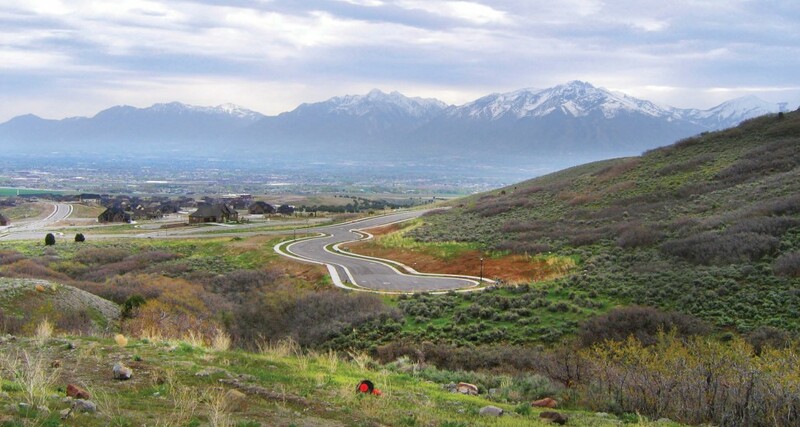 The need for the initiative was highlighted during meetings of the Geologic Hazards Working Group, formed in 2006 by Governor Jon M. Huntsman, Jr. as the result of numerous landslides during 2005 and 2006 and related issues with the development approval process in Utah. The initiative will provide planners, local officials, property owners, developers, engineers, geologists, design professionals, and the interested public with information on the type and location of critical geologic hazards that may affect existing and future development. This information will be presented as geologic-hazard maps for use in land-use and development planning, regulation, and design in Utah. 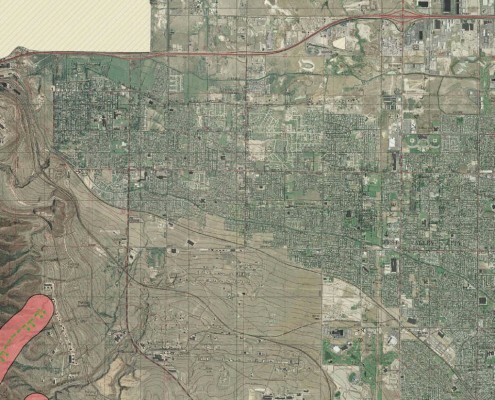 We have begun geologic-hazard mapping in areas of high projected growth where recent Quaternary geologic mapping has been completed, specifically the western part of Salt Lake Valley, where the growth rate is estimated to be 41% from 2005 to 2020. Geologic-hazard mapping planned for 2009–2010 is anticipated to continue in Salt Lake and Utah Counties. Additional hazards mapping is planned in Davis, Weber, Wasatch, Summit, and Uintah Counties. Our final product will be sets of geologic-hazard maps that are created on U.S. Geological Survey 7.5-minute quadrangle topographic base maps enhanced using aerial photography from the 2006 National Agriculture Imagery Program and/or hillshading to show topographic relief. The maps are being prepared by compiling a geographic information system (GIS) database incorporating available Natural Resources Conservation Service (NRCS) soil maps, previous geotechnical and/or geologic-hazard studies, geologic maps, and other field data. Depending upon the specific area and availability of data, the hazard map sets will include maps showing earthquake, landslide, flood, problem soil and rock, indoor radon, and shallow ground-water hazards. In addition, a map showing slope angles may be included for use with local ordinances pertaining to buildable areas. The earthquake-hazard maps will address potential surface fault rupture, ground shaking, and liquefaction. The maps illustrate these hazards by showing areas of mapped active (Quaternary) faults (those faults with evidence of movement within the past 1.8 million years) with applicable special-study zones, site classes for use with the International Building and Residential Codes, and areas where saturated sandy soils may liquefy and lose strength in an earthquake, respectively. The landslide-hazard maps delineate areas prone to landslides and rock falls. These maps illustrate landslide and rock-fall susceptibility by taking into account geology and slope angle. The maps also show areas of known, existing landslides and rock fall. The flood-hazard maps show areas susceptible to flooding by creeks, rivers, and other drainages; flash floods; sheetflow; and debris flows. The maps are based on the geologic conditions of various mapped units, such as depositional environment and age. For example, geologic units deposited by floods and debris flows typically have a higher flood hazard than other units. Our maps are intended to supplement other flood-hazard maps already used in land-use planning and regulation. For example, Flood Insurance Rate Maps produced by the Federal Emergency Management Agency show creek and river flooding, but they generally do not show flooding by sheetflow and debris flows. The problem-soil-and-rock-hazard maps delineate areas of expansive soil and rock, collapsible soil, shallow bedrock, soil piping and erosion, and windblown sand. Expansive soil and rock results from the presence of clay minerals that undergo changes in volume; these deposits shrink/swell in response to changes in moisture content. Collapsible-soil hazards are typically present on geologically young alluvial fans near mountain fronts that contain soils with void spaces that may collapse when the soils become wet, resulting in the settlement of the ground surface. The other hazard maps will illustrate indoor radon potential and shallow ground-water hazards. Indoor radon potential is a function of source materials (rock and soil) containing uranium, such as shale and granite, and soil permeability that allows radon gas to flow toward building foundations and basements. 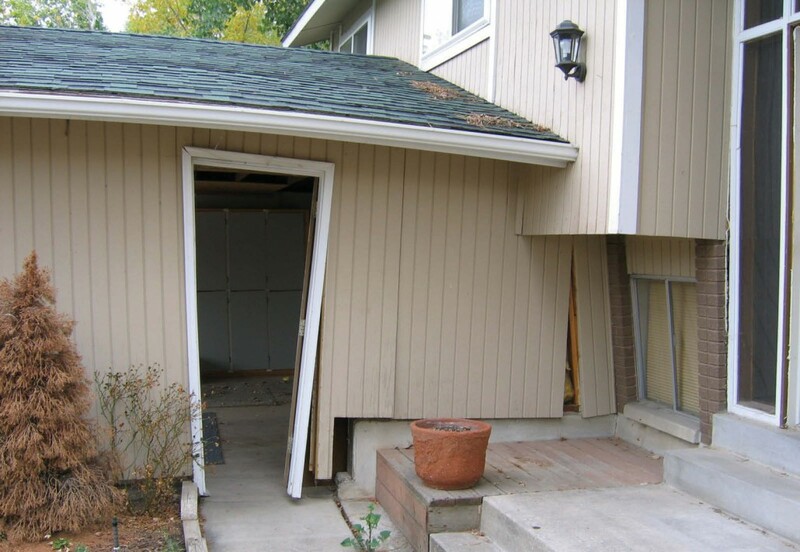 Shallow ground water may be present in areas near lakes and streams, shallow bedrock, and/ or low-permeability soils and can cause problems with wet crawlspaces and basements, foundation and utility excavations, or buried structures. While site-specific geotechnical investigations should be performed for all development, our new maps will identify areas where additional, specialized geologic-hazard investigations are necessary prior to development. 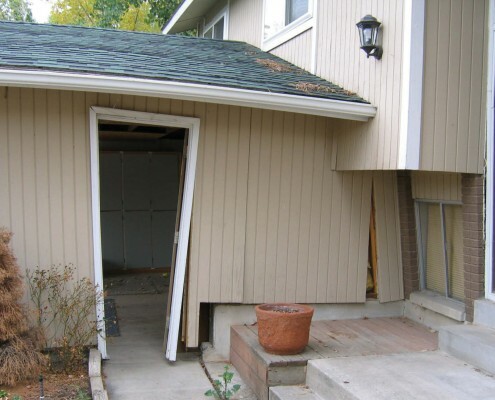 In Utah, licensed Professional Geologists and Professional Engineers perform these investigations. 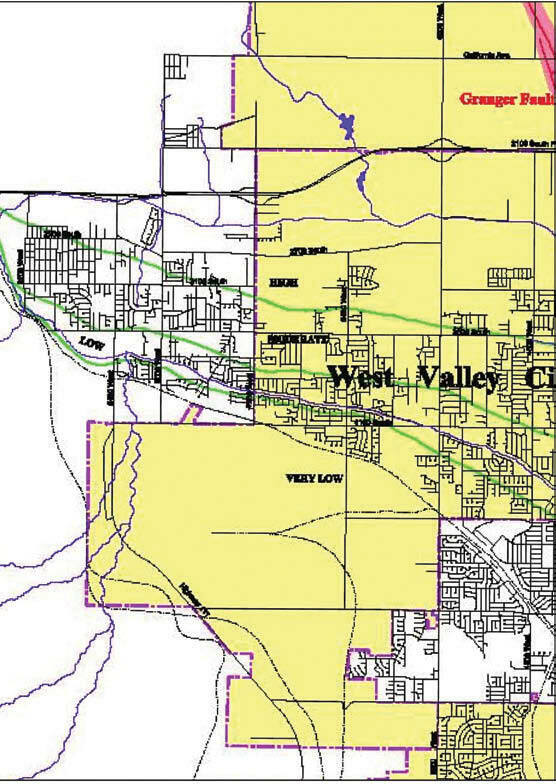 The maps will also provide information that may be used for emergency planning and community risk assessment for existing home and business owners. 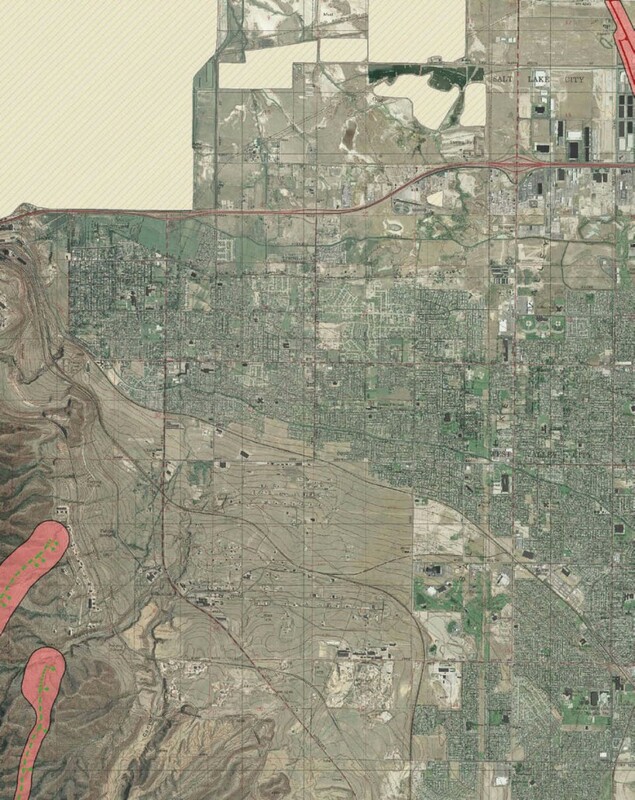 The Utah Geological Survey will provide copies of the published maps to local governments within the study areas, and will work with communities as requested to help prepare geologic-hazard ordinances. City and county government agencies will find the geologic-hazard maps useful in land-use planning and regulation, and for development of their own infrastructure. 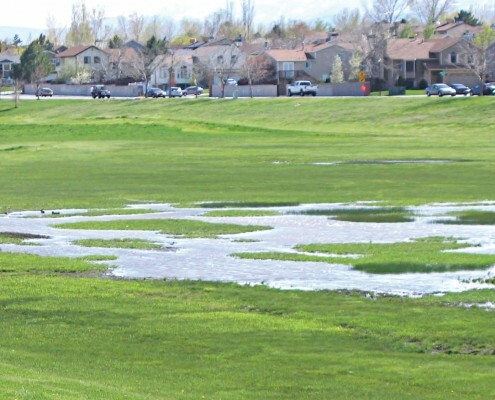 State and federal government agencies (such as the Utah School and Institutional Trust Lands Administration, U.S. Forest Service, and Bureau of Land Management) will find the maps useful in land management activities, permit application reviews, and development of their own infrastructure. The private sector, including property owners, developers, planners, consultants, and the general public, will find the maps useful in development project planning and design, real estate transaction due-diligence, and other activities.